The passage of the Senate’s Affordable Care Act repeal and replace bill, prior to their scheduled July 4th recess, is as up in the air as the fireworks will be coinciding with that illustrious date. With five Republican and additional Democrat senators currently opposed, its passage appears tenuous at best. This, in spite of President Trump’s expressed confidence it will happen. As a medical insurance broker the past 30 years, I have certainly have an opinion on, and a vested interest in, the passage (or failure) of the bill. The reality is, the Democrats own the current Patient and Protection Affordable Care Act (PPACA). Not one Republican voted for it. Therefore (if repeal fails), come 2018, it will be the Democrat’s law which, I believe, will result in an even greater increase in health insurance premiums we have already seen skyrocket since the Act’s passage. And be certain―we will see an even greater exodus of insurance carriers from the marketplace, leaving some counties―and possibly states―with only one carrier. Or, possibly, none. In which case, Trump and the Republicans can continue to tell the Democrats, “We told you so!”. 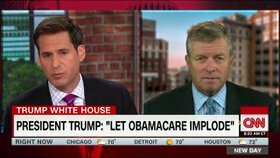 The problem for the Republicans is, they were elected on a platform of repeal and replace. As such, there are two ways Republicans can fail the people. The first is by not fulfilling that promise. The second―and quite possibly the larger failure― is to pass something which turns out to be an equal or greater debacle than the PPACA itself. As much as I want to see the Act replaced with something better, upon analysis, I find myself largely in agreement with Senator Rand Paul. This bill almost resembles Obamacare more than it does not. Not only does it continue subsidies based on income, but it maintains ten of the twelve mandated “essential coverage items” which forced premiums up in the first place! The primary objectives of repeal and replace were to give people more control over the coverage they purchase and reject, and to bring premiums down. To acquire just what they need and reject what they don’t, all at a lower cost. As it stands today, the Senate bill cannot accomplish either because the remaining forced mandates will force insurance companies to keep premiums high while rationalizing the subsidies allow enough people to pay them using “other people’s money”. When all is said and done, if the bill passes as is, those who don’t qualify for a subsidy will feel angry and betrayed and our twenty trillion dollar budget deficit will grow at even faster than its current, virtually criminal, rate of escalation. Couple doing away with the individual mandate to purchase and maintain coverage with allowing people to purchase it anytime of the year―in spite of the state of their health―and you have a recipe for absolute failure. Many will refrain from purchasing until they receive a dread diagnosis, then purchase the insurance to force the loss of huge medical claims on someone else! I.e., the insurance companies and those responsible insured members who pay their own premiums. If passed without restrictions on when insurance may be purchased (Open vs. Closed Enrollment), I predict this replacement will fail more quickly than Obamacare has failed. Who will be the major losers if this bill passes as is? Those individuals who must pay their own premiums; the American taxpayer; and―when the healthy drop coverage because they are no longer forced by law to purchase it―me. Who are the major winners? Employers who will see the mandate to provide coverage for groups of 50 plus dropped, creating an incentive to hire; Medical Device companies who will see taxes on their products repealed, encouraging innovation; those individuals and families who have someone else paying all, or the majority, of their premium; and the insurance companies who continue to be subsidized and receive even greater premiums (subsidized or not) for somewhat diminished coverage. And―in the case of where a broker’s compensation is based on a percentage of premium―me. Who knows how this will ultimately shake out. All I know is, whatever the result, it will be a mixed bag depending on your position in the equation. Stay tuned and―regardless the result―contact me at 281-267-6565. Whatever your options, unless agents and brokers fall on the chopping block, I intend to be here to assist you identifying and obtaining the option most beneficial to your physical and financial health. Senate leaders on Wednesday were putting the final touches on legislation that would reshape a big piece of the U.S. health-care system by dramatically rolling back Medicaid while easing the impact on Americans who stand to lose coverage under a new bill. A discussion draft circulating Wednesday afternoon among aides and lobbyists would roll back the Affordable Care Act’s taxes, phase down its Medicaid expansion, rejigger its subsidies, give states wider latitude in opting out of its regulations and eliminate federal funding for Planned Parenthood. The bill largely mirrors the House measure that narrowly passed last month but with some significant changes aimed at pleasing moderates. While the House legislation tied federal insurance subsidies to age, the Senate bill would link them to income, as the ACA does. The Senate proposal cuts off Medicaid expansion more gradually than the House bill,\ but would enact deeper long-term cuts to the health-care program for low-income Americans. It also removes language restricting federally subsidized health plans from covering abortions, which may have run afoul of complex budget rules. Senate Majority Leader Mitch McConnell (R-Ky.) intends to present the draft to wary GOP senators at a meeting Thursday morning. 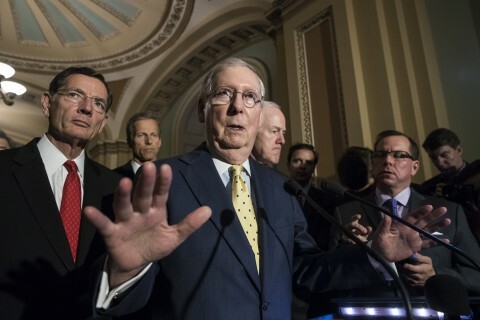 McConnell has vowed to hold a vote before senators go home for the July 4 recess, but he is still seeking the 50 votes necessary to pass the major legislation under arcane budget rules. A handful of senators, from conservatives to moderates, are by no means persuaded that they can vote for the emerging measure. Aides stress that the GOP plan is likely to undergo more changes to garner the 50 votes Republicans need to pass it. Moderate senators are concerned about cutting off coverage too quickly for those who gained it under the ACA, also known as Obamacare, while conservatives don’t want to leave big parts of the ACA in place. As a nod to conservatives, the Senate bill would give states more leeway in opting out of the ACA’s insurance regulations through expanding the use of so-called “1332” waivers already embedded within the law, according to the draft proposal. States could use the waivers to make federal subsidies available even off the marketplaces — but they couldn’t go so far as to lift ACA protections for patients with preexisting conditions. But it may prove trickier to get moderates on board. Senate leaders are hoping the big draw for them lies in the bill’s more generous income-based approach to insurance subsidies, which closely mirror the subsidies offered under Obamacare. Subsidies are available to Americans earning between 100 percent and 400 percent of the federal poverty level. Starting in 2020, under the Senate bill, this assistance would be capped for those earning up to 350 percent — but anyone below that line could get the subsidies if they’re not eligible for Medicaid. The subsidies would also mirror the ACA in that they would be pegged to a benchmark insurance plan each year, ensuring that the assistance grows enough to keep coverage affordable for customers. The Senate bill would also keep the ACA’s Medicaid expansion around for longer, gradually phasing it out over three years, starting in 2021. Despite these shifts, moderates are likely to be turned off by how the bill cuts Medicaid more deeply than the House version. But the biggest cuts wouldn’t take effect for seven years, a time frame that could be more politically palatable for members like Sens. Rob Portman (R-Ohio) and Shelley Moore Capito (R-W.Va.). Under the Senate draft, federal Medicaid spending would remain as is for three years. Then in 2021 it would be transformed from an open-ended entitlement to a system based on per capita enrollment. Starting in 2025, the measure would tie federal spending on the program to an even slower growth index, which in turn could prompt states to reduce the size of their Medicaid programs. In a move that is likely to please conservatives, the draft also proposes repealing all of the ACA taxes except for its so-called “Cadillac tax” on high-cost health plans in language similar to the House version. Senators had previously toyed with the idea of keeping some of the ACA’s taxes. The Senate bill would also provide funding in 2018 and 2019 for extra Obamacare subsidies to insurers to cover the cost-sharing discounts they’re required to give the lowest-income patients. Insurers have been deeply concerned over whether the subsidies will continue, as the Trump administration has refused to say whether it will keep funding them in the long run. The House had a difficult time passing its own measure after a roller-coaster attempt, with the first version being pulled before reaching the floor after House Speaker Paul D. Ryan (R-Wis.) determined he did not have the votes. House Republicans went back to the drawing board and passed their own measure — which would more quickly kill Medicaid expansion and provide less-generous federal subsidies — on May 4. Even if the Senate measure does pass the upper chamber, it will still have to pass muster with the more conservative House before any legislation could be enacted. Juliet Eilperin and Amy Goldstein contributed to this report. Well, here we are, two days from Obamacare Open Enrollment. Tuesday, November 1st, the starting gun goes off for Americans to shop for 2017 health insurance and we cross the finish line January 31st, at which point, our health insurance―barring a significant life change―will be locked in the remainder of the year. This month is my 30th year in the industry and it is my job to help you identify and elect your best health insurance option for 2017. Here are the challenges ahead of us. As those of you who were in Under Age 65 health insurance market last year well know, you were forced off your PPO plan (assuming you were in one) and into HMO coverage. And you learned it was extremely difficult to find your doctors and hospitals in any HMO plan network. (In an HMO plan, you must utilize providers in your network or you have no coverage whatsoever.) Hence, you found your doctors, hospitals, and, effectively, your treatment rationed. Previews of the 2017 plans and premiums indicate most insurance companies have withdrawn from the market and those remaining are continuing to offer HMO coverage only. To add insult to injury, they are offering it at dramatically higher premiums. In Texas, premiums are 25% higher on average. And they are much higher in many other states. As I write, plan and premium change notices are arriving in the mail and pushing the edge out of the sticker shock envelope. My own arrived, and while a 23% increase sounds good relative to what many of my clients are experiencing, the insurance company is also raising the deductible on my plan by a thousand dollars. A client left a message in my voicemail late Friday evening informing me his premium is increasing 58.9%. He went on to say, “That is unsustainable and I will pay the penalty before I pay that premium! We will have to find something else!” What he may not know yet―and what I will have to inform him―is that he will only have plans for two companies to choose from in his county. One is the company he is with. Regardless, all the options he will have are at significantly higher premiums than last year. Since 2014 (the first year Americans whose net income fell below a certain threshold were able to receive subsidies to offset a portion of their health insurance premium) I have said―if you qualify for a significant one―you may be happy with your health insurance premium. However, if you are one of the millions of hard working Americans making just above that threshold―in all likelihood―you are, like my client who left the voicemail, distraught over what is happening to your health insurance costs. That being said, and as was already said, it is my job to help you identify your best option. And to do so without foregoing health insurance protection and paying the ensuing penalty for doing so. The strategy I employed for myself in 2016 is the same I will be utilizing in 2017. It is not what I would prefer, but what I would prefer is not an option. It is, however, the best option in light of the circumstances. Finances may not be your concern but access to your providers may be. Or, access to your providers may not be your concern but finances may be. Both may be your concern. My strategy may work for you or it may not. But I feel it provides the least compromise and is the best for adapting to this current state of affairs. At least until better options avail themselves in the individual and family health insurance market. Please contact me at 281–367–6565 to discuss it. If you feel it, or another approach, is the way you would like to proceed, I can make the application process go as quickly and smoothly as possible. And that is whether you qualify for a subsidy or not and without you having to personally deal with healthcare.gov. ATTENTION SMALL BUSINESS OWNERS: You have possible recourse regarding the poor options in the individual and family health insurance market. If you are the owner of a legal business entity, e.g., LLC or corporation, you have an alternative. During the Small Business Open Enrollment Period (SBOEP)―from November 1 through December 15th―you may enroll your employer group and still have access to quality coverage and, more importantly, quality PPO provider networks where you are in control of who your providers are and, therefore, your treatment. During this SBOEP you will not have to meet the participation or contribution requirements which apply to small business group enrollment during the remainder of the year. In other words, you need only cover a minimum of two employees and you can require they pay 100% of their personal and family premium which will then be payroll deducted from their compensation. Please contact me if you have an interest in pursuing this strategy. For those who are strictly in the market for individual and family health insurance, as of Tuesday, you may go to my website at http://TheWoodlandsTXHealthInsurance.com to review your options. While this site focuses on our hometown, it will provide quotes for residents of all 50 states. I can be the agent for residents of Texas, Indiana, Ohio and Michigan. Once there, you may apply online or call me to discuss the details of the options you see and I can submit your application for you. I the meantime (as of this moment), if you know―or believe―you qualify for a subsidy of your premium, you may go to my second quoting site where you may calculate the subsidy you qualify for or the penalty for not purchasing health insurance in 2017. You mag go on to obtain your quote and, if applying, log directly into healthcare.gov and apply. If doing so, when asked if you are working with anyone else on your coverage, select Agent or Broker and list my agent (legal) name, Donald Kenton Henry, and my National Producer Number (NPN) 387509. If you do this, I will be able to assist with any incomplete applications or outstanding requirements. If you become my client, in most cases, I can handle service related issues throughout the year without you having to deal with the personnel at healthcare.gov or an insurance company. The important thing I would like for you to appreciate is – you are charged not one penny more in premium by going through me for your health insurance than if you were to go directly through the front door of the insurance company whose product you wish to acquire and purchased it directly. And I charge no fee for my service. I only hope that, if I introduce you to a product you wish to utilize or a strategy, you wish to employ, you will acquire the product through me as your agent. I look forward to working with you and to, if becoming your agent, providing you the best of insurance service throughout the year. Again, please call me at 281–367–6565. The I.R.S. says that 8.1 million returns included penalty payments for people who went without insurance in 2014, the first year in which most people were required to have coverage. A preliminary report on the latest tax-filing season, tabulating data through April, said that 5.6 million returns included penalties averaging $442 a return for people uninsured in 2015. With the health law’s fourth open-enrollment season beginning Tuesday, consumers are anxiously weighing their options. William H. Weber, 51, a business consultant in Atlanta, said he paid $1,400 a month this year for a Humana health plan that covered him and his wife and two children. Premiums will increase 60 percent next year, Mr. Weber said, and he does not see alternative policies that would be less expensive. So he said he was seriously considering dropping insurance and paying the penalty. When Congress was writing the Affordable Care Act in 2009 and 2010, lawmakers tried to balance carrots and sticks: subsidies to induce people to buy insurance and tax penalties “to ensure compliance,” in the words of the Senate Finance Committee. But the requirement for people to carry insurance is one of the most unpopular provisions of the health law, and the Obama administration has been cautious in enforcing it. The I.R.S. portrays the decision to go without insurance as a permissible option, not as a violation of federal law. The law “requires you and each member of your family to have qualifying health care coverage (called minimum essential coverage), qualify for a coverage exemption, or make an individual shared responsibility payment when you file your federal income tax return,” the tax agency says on its website. Some consumers who buy insurance on the exchanges still feel vulnerable. Deductibles are so high, they say, that the insurance seems useless. So some think that whether they send hundreds of dollars to the I.R.S. or thousands to an insurance company, they are essentially paying something for nothing. Obama administration officials say that perception is wrong. Even people with high deductibles have protection against catastrophic costs, they say, and many insurance plans cover common health care services before consumers meet their deductibles. In addition, even when consumers pay most or all of a hospital bill, they often get the benefit of discounts negotiated by their insurers. The health law authorized certain exemptions from the coverage requirement, and the Obama administration has expanded that list through rules and policy directives. More than 12 million taxpayers claimed one or more coverage exemptions last year because, for instance, they were homeless, had received a shut-off notice from a utility company or were experiencing other hardships. The maximum penalty has been increasing gradually since 2014. Federal officials and insurance counselors who advise consumers have been speaking more explicitly about the penalties, so they could still prove effective. Many health policy experts say the penalties would be more effective if they were tougher. That argument alarms consumer advocates. “If you make the penalties tougher, you need to make financial assistance broader and deeper,” said Michael Miller, the policy director of Community Catalyst, a consumer group seeking health care for all. As a health insurance broker the last thirty years, I have a vested interest in the state of the industry, and especially so since the Affordable Care Act (ACA) , commonly referred to as Obamacare, was passed in March of 2010. It has been a turbulent ride as I and my clients have struggled to adapt to each phase of the law’s implementation. This has been especially true, the previous three years, as I prepared―and now prepare again―for “Open Enrollment” (OE). OE is the period during which the Department of Health and Human Services allows people to acquire individual and family health insurance for the coming year. This year, it is scheduled to run from November the 1st through January 31st. I say “scheduled”, because they typically extend it in an effort to give people more time to enroll. And, apparently, the Department needs to give people as much time as possible because the latest numbers indicate Obamacare enrollment has fallen significantly short of expectations. (Refer to our feature article from The Washington Post below.) As it explains, enrollment in the exchanges is less than half initially predicted. The success of the exchanges was predicated on the young and healthy enrolling in numbers sufficient to offset the sick and elderly who would naturally submit more and higher claims to the insuring companies. The young and healthy have largely declined enrolling―presumably and primarily because, well―they’re young and healthy. Had they enrolled, the theory was they would have diluted the claims (losses) with positive (no losses) premium dollars. Additional factors are that, unless someone qualifies for a subsidy, the premiums are high and, for the most part, going higher. The only cases where premiums seem to have gone down are where the insured members are forced into Health Maintenance Organization (HMO) plans where they find their providers and treatment rationed. Furthermore, the penalties (“Shared Responsibility Tax”) for not having insurance, relative to the premiums for having it, are so small as to be largely ignored. Yes, the penalties are increasing but not in proportion to the premiums. And word is, the premiums are only going higher in 2017. As our feature article from the Wall Street Journal ( posted below) describes ―another factor detrimental to the success of the Act and the exchanges is decreasing competition among carriers. In spite of the high premiums they charge, insurers are experiencing losses too great to allow them to remain in the marketplace. As a result, they are dropping out in ever increasing numbers. These losses result, in part, because the government itself has cut the subsidies they originally promised insurance companies in order to offset the losses they anticipated. Obviously, companies have less money to pay the higher than expected claims they are experiencing. A Kaiser Family Foundation study, cited in the WSJ article, indicates exchange shoppers may have only one insurance company to choose from in 31% of the nation’s counties and the possibility of only two in another 31%. While many are quick to blame the “greedy” insurance companies, this editor feels the need to point out the reality that insurance companies are not charities. And even charities must operate in the black if they are to remain in existence. It is my opinion that only the government feels it is entitled to operate at a loss and, additionally, that, that is acceptable. Of course, when your are operating entirely with other people’s money―that is a much easier thing to do. I will now put down my keyboard and go back to studying, testing and certifying to offer and provide the new Obamacare and Medicare related plans to both my clients and prospective clients for 2017. It amounts to an investment of many hours in order to remain informed and credible in an extremely complicated market. As in 2016, one key hurdle for those purchasing 2017 individual and family coverage will be to deal with the inability to find their doctors, and even their hospitals, in the HMO networks. I have developed a strategy for coping with this which I have utilized for myself. While it does not entirely eliminate the inconvenience of the aforementioned problem, it does soften the blow and in some cases―from a purely monetary standpoint―offset the loss in dollars a total and ideal solution would have cost. Please call me at 281.367.6565 to discuss this and other strategies designed to minimize the difficulties and accompanying stress of identifying and acquiring 2017 health insurance. 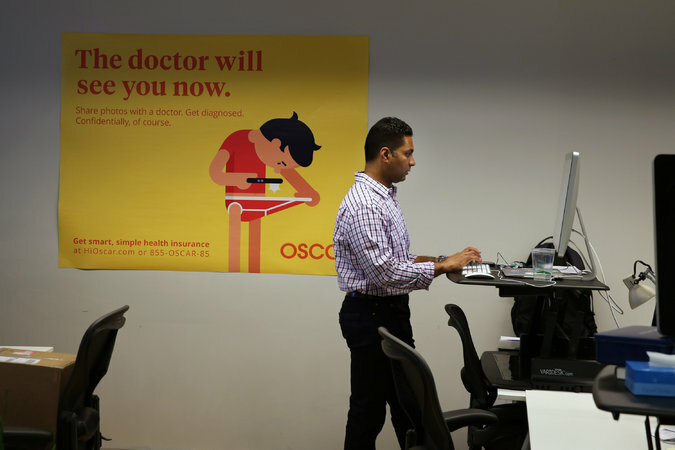 Nearly a third of the nation’s counties look likely to have just a single insurer offering health plans on the Affordable Care Act’s exchanges next year, according to a new analysis, an industry pullback that adds to the challenges facing the law. 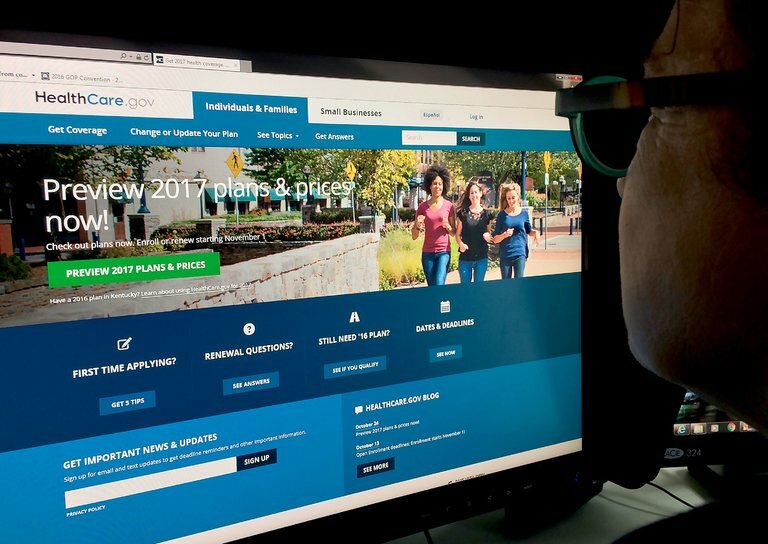 August 27 at 8:10 p.m.
Enrollment in the insurance exchanges for President Obama’s signature health-care law is less than half the initial forecast, pushing several major insurance companies to stop offering health plans in certain markets because of significant financial losses. As a result, the administration’s promise of a menu of health-plan choices has been replaced by a grim, though preliminary, forecast: Next year, more than 1 in 4 counties are at risk of having a single insurer on its exchange, said Cynthia Cox, who studies health reform for the Kaiser Family Foundation. The debate over how perilous the predicament is for the Affordable Care Act, commonly called Obamacare, is nearly as partisan as the divide over the law itself. But at the root of the problem is this: The success of the law depends fundamentally on the exchanges being profitable for insurers — and that requires more people to sign up. In February 2013, the Congressional Budget Office predicted that 24 million people would buy health coverage through the federally and state-operated online exchanges by this year. Just 11.1 million people were signed up as of late March. Exchanges are marketplaces where people who do not receive health benefits through a job can buy private insurance, often with government subsidies. A big reason the CBO projections were so far off is that the agency overestimated how many people would lose insurance through their employers, which would force them into the exchanges. But there have been challenges getting the uninsured to sign up, too. The law requires every American to get health coverage or pay a penalty, but the penalty hasn’t been high enough to persuade many Americans to buy into the health plans. Even those who qualify for subsidized premiums sometimes balk at the high deductibles on some plans. And people who do outreach to the uninsured say the enrollment process itself has been more complex and confusing than Obama’s initial comparison to buying a plane ticket. In some markets, a shortfall in enrollment is testing insurers’ ability to balance the medical claims they pay out with income from premiums. In an announcement curtailing its involvement in the exchanges this month, Aetna cited financial losses traced to too many sick people signing up for care and not enough healthy ones. The health-care law has been a political lightning rod from the beginning, and Republican legislators have used insurance companies’ withdrawals from the exchanges to reignite calls for the law’s repeal. 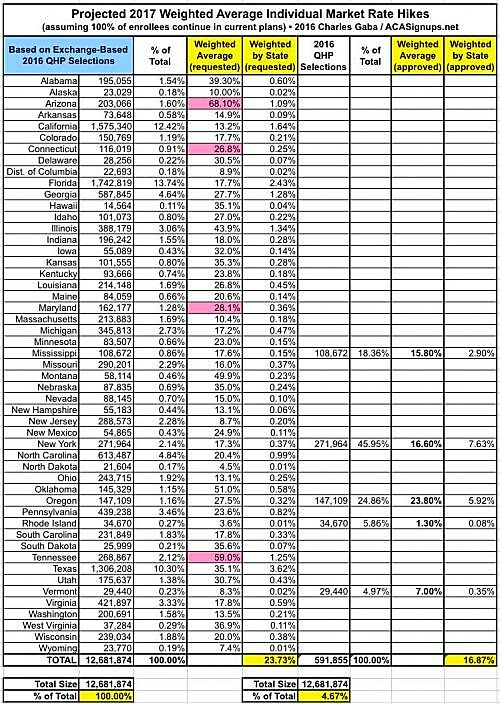 Kaiser tracks public data on insurer participation in the exchanges to project how many options counties will have, but the numbers are not final. This year, exchanges in about 7 percent of counties had just one insurer. Earlier this month, Aetna announced that it will pull out of 11 of the 15 states where it offers coverage on the health-care exchanges. Humana made a similar decision weeks earlier, planning to exit several states. And last spring, UnitedHealth Group said it would remain in three or fewer exchanges next year. Obama has used the health-care law’s challenges to issue a new call for a public insurance option. Chicago resident Eva Saur, 32, is exactly the kind of healthy person insurers would like to have on their rolls. Saur hasn’t had coverage in nearly a decade, but she takes good care of her health. For the handful of times she’s been sick, a walk-in clinic at a pharmacy has been sufficient. Saur’s tax penalty for being uninsured was a bit more than $600 last year, while the cheapest health plan she examined cost about as much for three months in premiums — and came with a $7,000 deductible. The penalty for not signing up is increasing. Still, some policy experts insist it is not enough motivation to buy insurance. The health-care law has had unequivocal successes. In some areas, lots of insurers compete on the exchanges, which helps keep premiums low. In Cleveland and Los Angeles, the average premium for a benchmark health plan actually declined in 2016. The number of uninsured Americans continues to shrink, hitting 9.1 percent last year — the lowest level ever. The average premium for the people who receive tax credits – 85 percent of the people signed up through the exchanges — is just $106 per month. People who qualify for the income-based tax credits are largely sheltered from premium increases. The first people to sign up for insurance through the exchanges were expected to be those with chronic diseases and high medical costs. Because insurers could no longer discriminate against those people, the law built in three mechanisms for the government to redistribute money from plans with healthier patients to those with sicker ones. Two of those programs expire at the end of the year. The third, called the “risk adjustment” program, transferred $4.6 billion between insurers in 2014. Critics say there’s a fundamental problem with the system, and the risk-adjustment program needs to be fixed. But supporters of the law argue that the problem is temporary, the natural evolution of a nascent free-market system. Some of the first companies to enter the market made bad bets on how healthy customers would be, resulting in unprofitable health plans. Proponents say it’s natural for new entrants to replace them, with better information and more competitive plans. Cigna, for example, has said it has filed to enter exchanges in three new states next year. Supporters point to a recent government analysis that suggests the “risk pool” — the number of high-cost sick customers relative to healthy ones — is not worsening and could even be improving. Medical costs per enrollee in the marketplaces fell by 0.1 percent in 2015, while medical costs for people in the broader health-insurance market grew by at least 3 percent. In states with strong enrollment growth, there were greater reductions in members’ costs. Everyone agrees that more healthy people need to sign up. In June, the Obama administration unveiled its plan to target younger and healthier adults, including direct outreach to individuals and families who paid the penalty. It also released new guidance, encouraging insurance companies to communicate more with young adults being kicked off their family’s plan when they turn 26 years old. Even older adults are taking their chances without health-care coverage. Donte Fitzhugh, 55, of Charlotte was laid off last year from a job as a call-center operations manager. COBRA, which allows former workers to extend their employer-provided health insurance if they pay the full premium, was expensive, and Fitzhugh didn’t sign up for the exchanges for very human reasons: He figured he’d find a job faster than he did. He thought every penny counted when he was unemployed. He didn’t have major health problems, and he got a coupon to help cover the costs of his hypertension medicine. As the window to sign up for health insurance passed without a new job, he kept procrastinating. Although health insurance from a new job will begin in October, he faces a penalty that will cost him hundreds of dollars. Such are the barriers to insurance: Remaining uninsured can be more attractive or just easier than signing up to pay hundreds of dollars a month for something that many people don’t think they need. Judy Robinson, a health insurance support specialist at the Charlottesville Free Clinic, has counseled hundreds of patients who are eligible for subsidized insurance on the exchanges but ultimately decide not to sign up. She said the subsidized insurance on the marketplace tends to be a good deal for those who make between 100 and 150 percent of the poverty level. But those who make more often are faced with large deductibles that don’t seem like a good deal to many people. Beyond the sticker price, she said it can require a lot of paperwork to demonstrate the annual income required to qualify for tax credits if people are juggling multiple part-time jobs. And sometimes, people are simply mistrustful. There are also those who want insurance but are struggling — and find themselves trapped by the high cost of health care. Donna Privigyi, 49, of Charlottesville has looked into insurance through the exchanges a few times. But over the past few years, much of her modest child-care salary and effort went toward trying to help support her adult son, Mark, who hadn’t been the same since the death of his younger brother. Donna was focused on trying to support her son. Health insurance — even rent — was an afterthought. Late last year, Mark died of a drug overdose, and Privigyi — consumed by grief — wasn’t thinking about insurance when the window to sign up opened and closed. Then, in June, she got appendicitis. Her bills from two hospitals were $33,000. The argument for having health insurance is the pile of bills she has been collecting — now with late fees added. The obstacle to getting health insurance is that same stack of bills. A double whammy is expected to impact the medical insurance market for 2017. There is bad news for the consumer on both the Medicare and the Under Age 65 ends of the medical insurance spectrum. One positive note ― more than 60 million Medicare recipients are projected to receive a cost of living adjustment in their Social Security Benefit! But if you’re part of this group … don’t spend all your new found increase in one place. It’s projected to be a minuscule 0.2 percent! What the government giveth . . . (well, you can see this coming!) The flip side is, their monthly Part B premiums would go to $107.60 in 2017 ― a $2.70 increase. On the other hand, 30% of recipients, which includes those new to Medicare in 2017; those who do not have their Part B premiums deducted from their Social Security Income Account in 2016; and those with higher incomes may see increases in premium to $149.00 for the lowest tax bracket; from $166.30 ― to $204.40 per month for the next; and from $380.20 to $467.20 in the highest bracket. Whether these projections―which amount to as much as a 22% increase for the highest income earners―are realized will not be known until October. Part B premiums are extremely relevant when one has the option of remaining on one’s (or one’s spouse’s) company group health insurance beyond age 65 and into retirement and is weighing the cost of such against the cost of transitioning fully to Medicare Part A and B. For these reasons, and because the majority of my individual and family clients have been forced to migrate to Health Maintenance Organization plans (where their providers and treatment are rationed) I have been advising those who are business owners to transition to group health insurance where they not only have more options relative to benefits but can still benefit from Preferred Provider Organization (PPO) coverage. With the PPO plans, they have the final say on their providers and, thereby, better control the quality of their treatment. Small Business (less than 50 employees) owners should take note that if they enroll during the Small Business Open Enrollment Period (November 15th ― December 15th) they will not have to meet the 75% full-time employee participation rate or the 50% of employee premium contribution requirement. The only requirement is that a minimum of 2 full time, W-2 employees be covered on the plan. This is an excellent opportunity for small, closely held companies who want to improve their family’s health insurance but cannot afford coverage for all employees. Again, please feel free to contact our office for further insight and guidance on this issue. Nearly a third of all Medicare beneficiaries face a steep increase in their premiums next year, the result of a policy that in certain circumstances requires some beneficiaries, including higher earners, to shoulder the burden of rising costs. The government health-care plan’s trustees projected in a report Wednesday that premiums would rise by as much as 22% for wealthier beneficiaries of Medicare Part B, which covers doctor visits and other types of outpatient care. The projected increase results from an intersection of the rules governing Medicare and Social Security, said Tricia Neuman, senior vice president and an expert on Medicare at the Kaiser Family Foundation. Under the Social Security Act’s “hold harmless” provision, Medicare can’t pass along premium increases greater than what most participants would receive through Social Security’s annual cost-of-living adjustment. That adjustment is expected to be just 0.2% in 2017 thanks to low inflation. As a result, Medicare couldn’t pass along any premium increase greater than the dollar increase in Social Security payments to the estimated 70% of beneficiaries who will qualify for hold harmless treatment in 2017, Ms. Neuman said. Instead, Medicare must spread much of the projected increase in its costs across the remaining 30%. Those who are paying the standard $121.80 a month for Medicare Part B this year would be charged $149 a month in 2017 if the trustees’ predictions come to pass. Higher earners would pay more. The trustees project individuals earning between $85,001 and $107,000 and couples earning between $170,001 and $214,000 would have their 2016 monthly premiums rise from $170.50 a person this year to about $204.40 in 2017. For those earning more than $214,000, or $428,000 for couples, the projected increase is to about $467.20 a month, from $389.00 in 2016. This isn’t the first time there has been such a disparity in Part B premiums between Medicare recipients. Last year, Congress staved off a 52% premium increase for Medicare beneficiaries not covered by the hold harmless provision via a deal in the budget agreement that raised premiums by 16% for them instead. Those covered by the hold harmless provision, in contrast, pay $104.90 a month—the same amount they paid in 2014 due to the fact that there was no Social Security cost-of-living increase in 2016. The projected increase in Part B premiums affects several other groups of Medicare beneficiaries, including those who receive Medicare but have deferred or aren’t eligible for Social Security benefits. It also would apply to those who are new to Medicare in 2017 and lower-income Medicare beneficiaries whose premiums are paid by state Medicaid programs. In the latter case, the increase would be paid by Medicaid, Ms. Neuman said. Paul Van de Water, senior fellow at the nonprofit Center on Budget and Policy Priorities, said the final Social Security cost-of-living adjustment won’t be known until October. If inflation rises by more than the trustees expect between now and then, it could “reduce the spike in the premium” for those who aren’t held harmless, he said. The Medicare trustees are projecting that the base Medicare Part B premium will reset for everyone at $124.40 a month in 2018, because they expect higher Social Security cost-of-living increases. Medicare covered 55 million people last year, according to the trustees’ report. Part B covered nearly 51 million. In 2017 Medicare is expected to have 58.7 million total participants and 53.5 million in Part B.
Humana beat second-quarter earnings expectations and reaffirmed its forecast for 2016, even as the health insurer set aside an additional $208 million to cover expenses in its individual, commercial coverage. The company also said Wednesday it was scaling back that individual business for next year and would only offer it in 156 counties, compared to 1,351 this year. The insurer also said it will sell coverage on Affordable Care Act individual exchanges in 11 states next year, down from 15 this year. 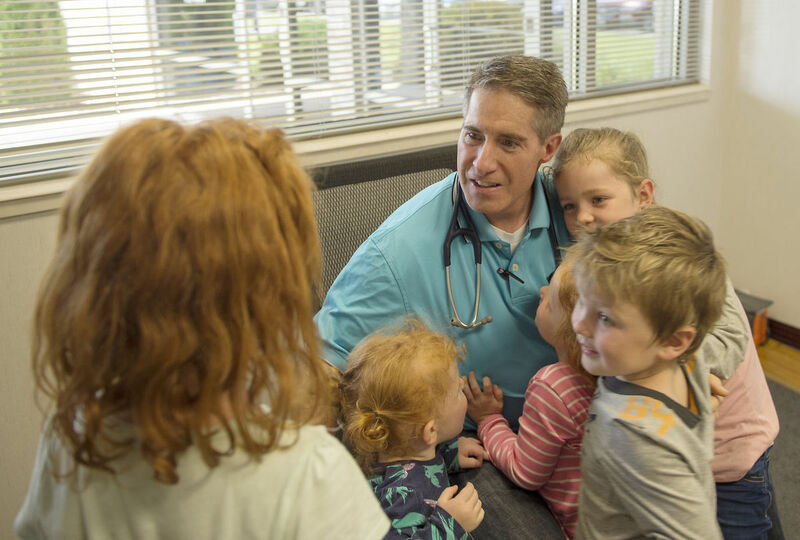 Humana, based in Louisville, Kentucky, provides individual coverage for nearly 500,000 people through the exchanges. It covers an additional 200,000 individual customers off the exchanges, a small slice of its total medical membership of 14.2 million. Other major insurers like UnitedHealth Group and Anthem also have recently detailed struggles with coverage they sell on the ACA’s state-based exchanges, which have helped millions of consumers gain insurance since they opened for enrollment in the fall of 2013. Aetna, which is trying to buy Humana, said Tuesday that it cancelled its exchange expansion plans for 2017 and was taking a hard look at the markets in which it is currently participating. Insurers have been struggling with higher-than-expected claims on the exchanges and lower-than-expected support from government programs, among other issues. Humana also is one of the nation’s largest providers of Medicare Advantage plans, which are privately run versions of the government’s Medicare program for people over age 65 or disabled. The company said Wednesday that its core businesses remained strong in the second quarter. Overall, Humana earnings plunged 28 percent to $311 million compared to last year’s quarter, when it booked a $267 million gain from a business sale. Earnings, adjusted for non-recurring costs and amortization costs, came to $2.30 per share. Analysts expected, on average, earnings of $2.22 per share, according to Zacks Investment Research. The health insurer posted revenue of $14.01 billion in the period, which topped the average Wall Street forecast for $13.63 billion. The company also said Wednesday that it still expects full-year earnings to total at least $9.25 per share. Shares of Humana edged up 52 cents to $170.09 Wednesday morning while broader indexes were flat. Humana shares have decreased 5 percent since the beginning of the year, while the Standard & Poor’s 500 index has climbed 5.5 percent.